Levocetirizine hydrochloride, an antihistamine, is a major metabolite of hydroxyzine, and a racemic selective H1 receptor inverse agonist used in the treatment of allergies, hay fever, angioedema, and urticaria. The structural similarity of levocetirizine to hydroxyzine, and its derivation from piperazine, attribute similar adverse reactions and properties to other piperazine derivatives. Levocetirizine, a human metabolite of hydroxyzine, is an antihistamine; its principal effects are mediated via selective inhibition of peripheral H1 receptors. The antihistaminic activity of Levocetirizine has been clearly documented in a variety of animal and human models. In vivo and ex vivo animal models have shown negligible anticholinergic and antiserotonergic activity. In clinical studies, however, dry mouth was more common with Cetirizine than with placebo. In vitroreceptor binding studies have shown no measurable affinity for other than H1 receptors. Autoradiographic studies with radiolabeled Levocetirizine in the rat have shown negligible penetration into the brain. Ex vivo experiments in the mouse have shown that systemically administered Levocetirizine does not significantly occupy cerebral H1 receptors. 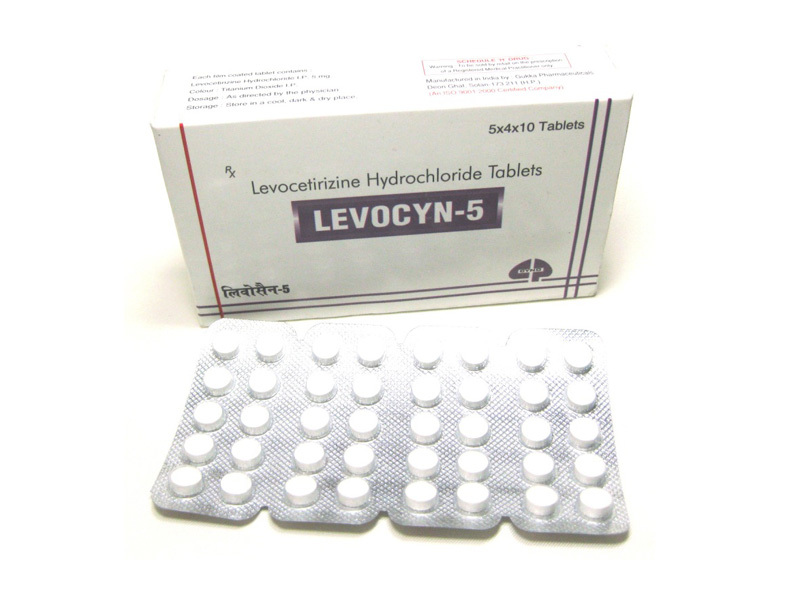 Levocetirizine is a potent and highly selective antagonist of the peripheral histamine H1-receptor on effector cells in the GI tract, blood vessels and respiratory tract.